The Douglas County Sheriff's Office has announced it will ticket anyone seen driving around barricades on closed roads in flooded areas of Valley and Waterloo, just west of Omaha. Sheriff's Capt. Wayne Hudson says a person who drove around a barricade Saturday morning trying to get a closer look found himself in trouble when his truck stalled in high water. Hudson says rescuers then had to divert efforts from others to help him. Thune praised neighbors for helping others "get back up on their feet" and says that "speaks volumes to the caliber of people we have in South Dakota." TenHaken says cleanup continues and a few roads remain closed. The Argus Leader reports the mayor expects Sioux Falls' bike trail to be "closed for a while." In Illinois, the (Freeport) Journal-Standard reports that the American Red Cross opened a shelter Friday night for those displaced by flooding in Rockford. Freeport resident Mary Martin says that within an hour of going to the store she couldn't get back in her driveway. She says "that's how fast the water was coming up" from the Pecatonica River. Mills County Emergency Management officials issued the order Saturday, noting the river wasn't done rising. 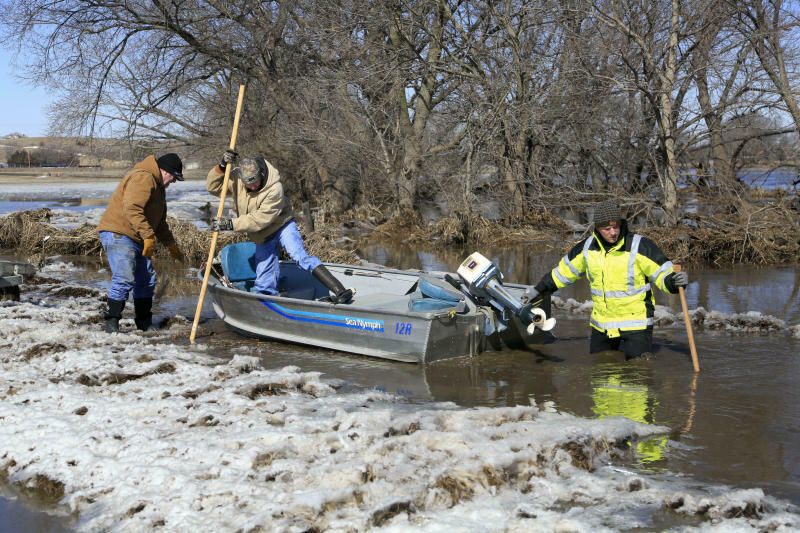 Travel in western Iowa is still hampered by flooding, and officials there and in eastern Nebraska are urging people not to drive if they don't need to. 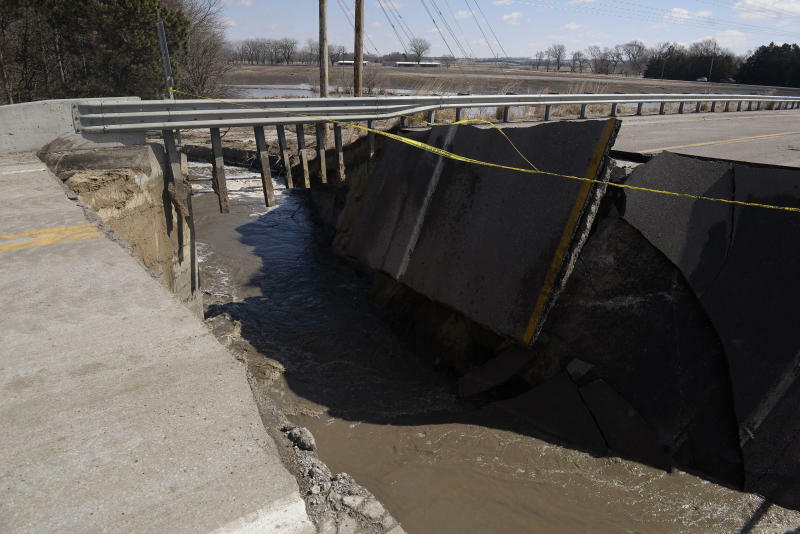 The Iowa Department of Transportation's website says northbound Interstate 29 from the Missouri state line to about 40 miles (64 kilometers) north near the Pacific Junction exit remains closed due to flooding. Drivers on I-29 are being rerouted onto Interstate 35 in Kansas City, Missouri, north to Des Moines, Iowa, then over I-80 back to I-29 at Council Bluffs. 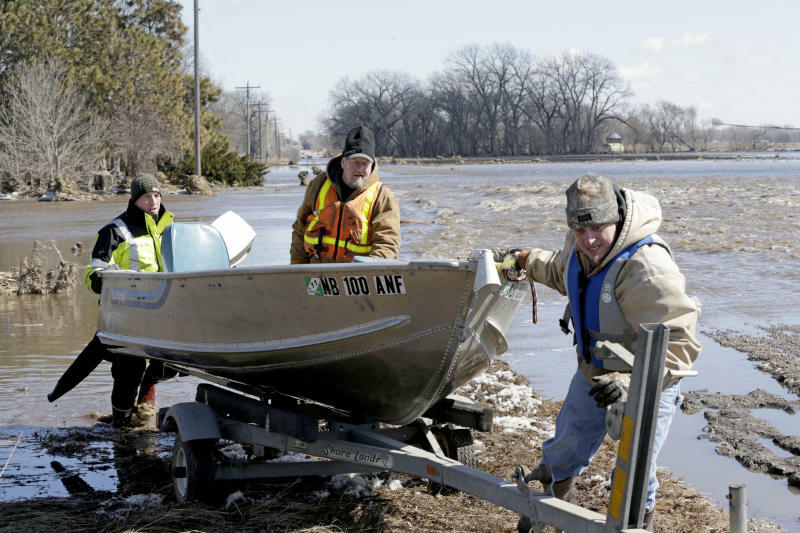 Weather service meteorologist Brian Pierce in Davenport, Iowa, says moderate flooding Saturday along the Mississippi River is just the beginning. Pierce calls it the "dress rehearsal for the main event that's going to happen in early April." He says there's snow in Minnesota and Wisconsin that's yet to melt.